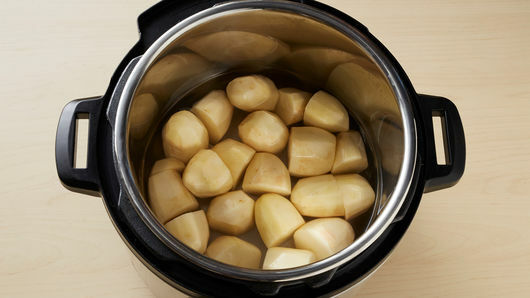 In 6-quart Instant Pot™ insert, mix potatoes, water and 1 teaspoon of the salt. Secure lid; set pressure valve to SEALING. Select MANUAL; cook on high pressure 8 minutes. Select CANCEL. Set pressure valve to VENTING to quick-release pressure. Drain off cooking liquid; return potatoes to insert. 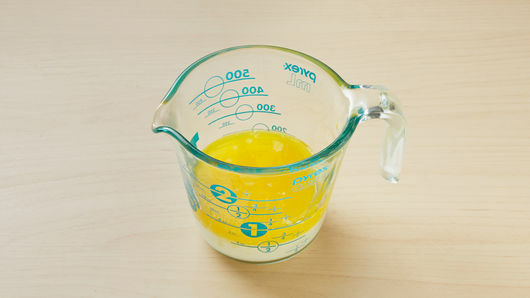 In 2-cup glass measuring cup, microwave half-and-half and butter uncovered on High 1 to 1 1/2 minutes or until heated through. 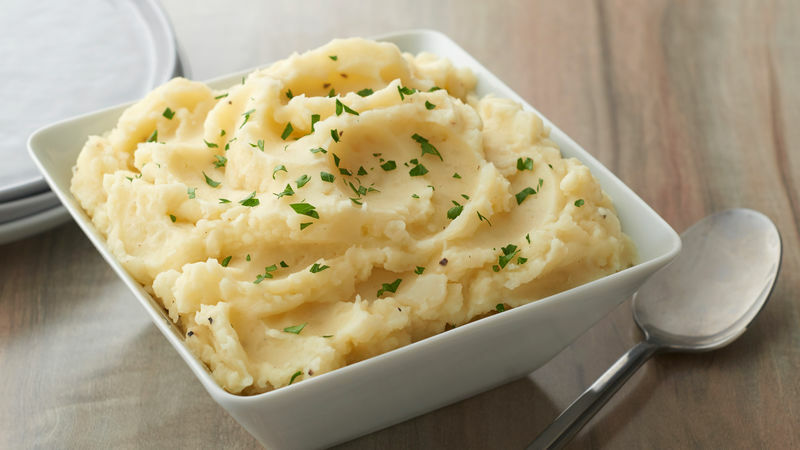 Using potato masher, mash potatoes in Instant Pot™ until all lumps are gone. Add hot half-and-half mixture; season with remaining 1/2 teaspoon salt and the pepper. 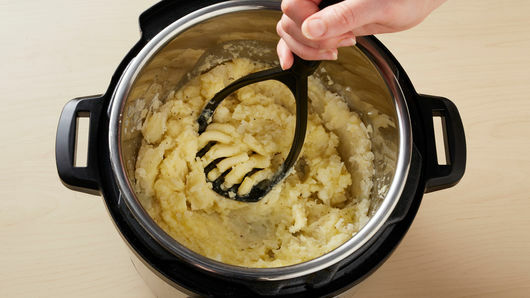 If potatoes are too thick, add additional half-and-half, 1 tablespoon at a time, until desired consistency. Stir in cooked, chopped bacon to add smoky, savory flavor. To make ahead: Be sure to consult your Instant Pot™ user manual for details on the warming feature for your specific model. We recommend holding potatoes on WARM for no longer than 2 hours for best results.